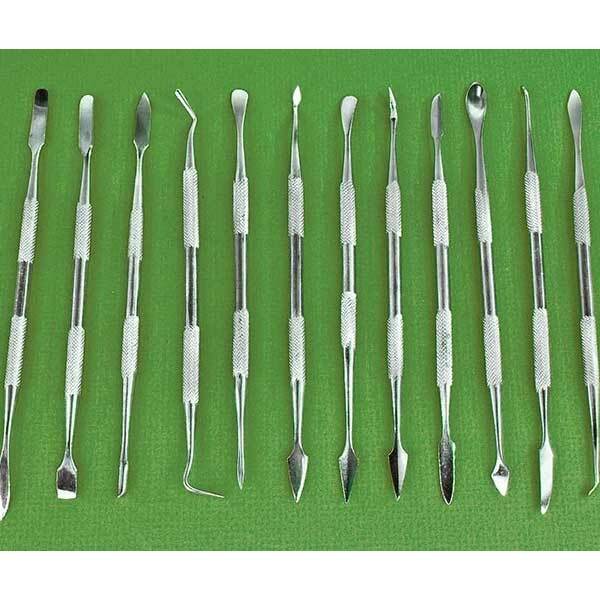 12-piece set includes 24 different tips to apply and carve putties, fillers, clays, resins and more. Polished steel with knurled grips. Overall length approx. 6-1/2 inches.